The master bedroom in MariSol’s newest beach house could be the largest and most extraordinary bedroom once it hits the market. Its 2,000 sq.ft. includes its bathrooms, closets, office, safe room, covered balcony and putting green. Marisol Modern at Marisol Malibu. 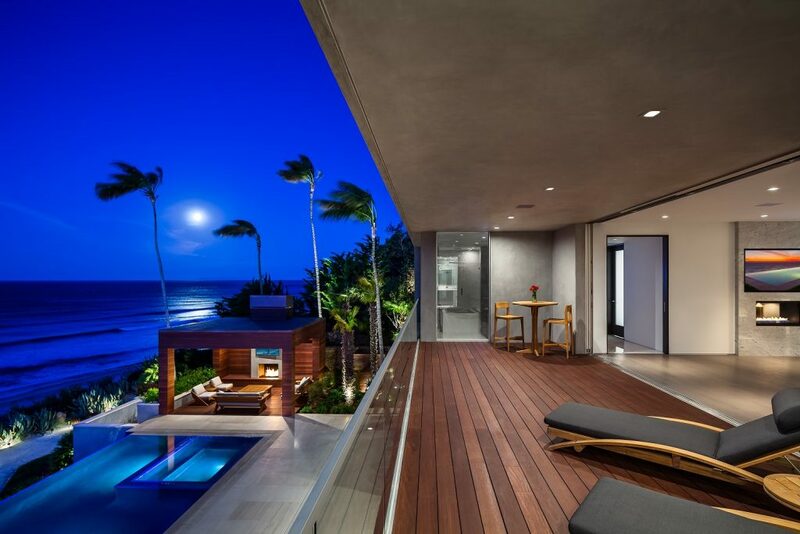 An unbelievable ocean view awaits the owner framed by sliding glass Fleetwood doors. The bedroom flows seamlessly out to the master balcony with warm IPE wood decking and plenty of room for multiple lounge chairs. Their are his/her bathrooms on either side. The showers in both include retractable windows for views of the pacific ocean. There is also a third outdoor shower with an IPE wood deck base and open windows that can be used for a true natural like experience. The ladie’s bathroom is much larger and features an ocean view tub and a hair salon area. Her closet is huge at over 300 sq.ft. with a center island and a vanity area. The man’s bathroom is on the opposite side of the balcony and features a T.V. his walk-in closet is adjacent. There is an office with full views of the ocean below and directly off of the office is the balcony putting green. It comes complete with manufactured turf that dips high and low and is pockmarketed by 4 holes. There is also a safe room, and adjacent is a room for the coffee bar and refrigerator. A secret door leads into the upstairs gym and yoga room as well.